We started the Canadian operation as one of the first and largest breeders of Miniature Hereford cattle, in Canada, in 1994, importing our foundation stock from the originator of this particular line of breeding, Roy and Rust Largent of Point of Rocks Ranch, in Fort Davis, Texas. We rapidly became the leading exporter of quality Miniature Hereford genetics to several countries around the world operating two separate breeding programs under Starburst Ranch and Pioneer Miniature Herefords. In 2003 the two programs were merged into one under the name Starburst Ranch. Although, relocating to Scotland in 2008, until recently we maintained a small core herd in Alberta, Canada, to supply a diversity of genetics to our constantly expanding world market. In 2008 we started to lay the foundation for bringing Miniature Hereford genetics to the UK. In 2010 we also decided to showcase the wide diversity that Hereford genetics can offer, where we sourced a modest start up herd of standard sized Polled Herefords and had our first calf crop at our old farm, Newton of Millfield Farm, in Aberdeenshire, Scotland. 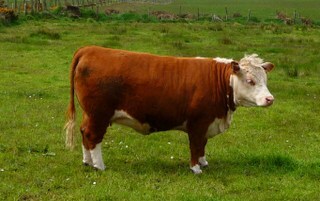 Our new farm is too small to support the two breeding programs and so reluctantly we sold out our Miniature Herefords. Many tears were shed the day they left the farm for their new home with enthusiastic breeders. Needless to say, we are Hereford enthusiasts excited to continue applying our breeding expertise on our standard Pedigree Polled Hereford herd. With careful breeding we won Scottish Hereford Small Herd of the Year award in 2014, which has encouraged us that we are on the right track. 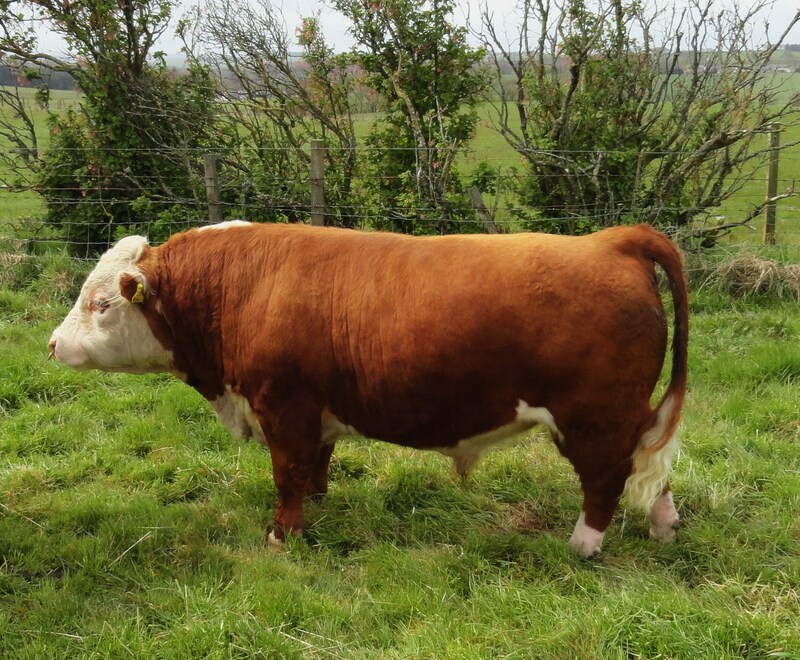 It is our vision to raise functionally efficient Polled Hereford bulls for the commercial markets as well as for our own suckler herd, where we can demonstrate the qualities that the market place desires This year our main herd sire will be one of our own home grown Hereford bulls, STARBURST 1 LEGEND. Our on farm sale of available breeding stock has been strong and we believe will continue to serve this market. Our newest endeavor will be with Rough Collie dogs. Inspired, like many, by childhood memories of Lassie. Our first female “Rosie” has fit in well and we will be excited for her first litter of puppies in late 2016. .Feel free to contact us if you are interested in any of our breeding programs, or just want to chat about our favorite topics HEREFORDS and COLLIES as Andrew will now have some time in his new found semi- retirement.